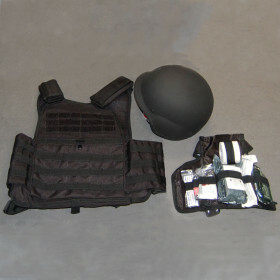 Active Shooter Kit » Protective Solutions, Inc. Kit includes the items listed below at a package price of 25% off our standard retail prices if bought separately. Customize this Kit with additional items from our Gerber, Nitecore, Cobra Cuffs or OC /Pepper Spray lines and receive the same great 25% discount on those items too. Please contact us directly to create your custom Kit.